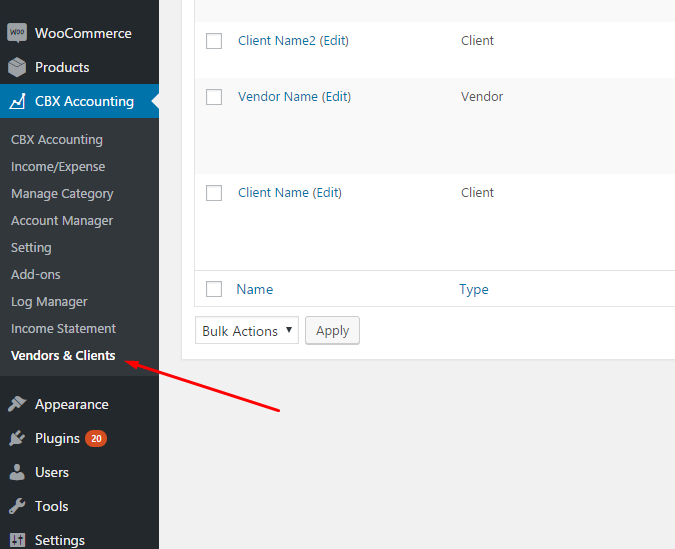 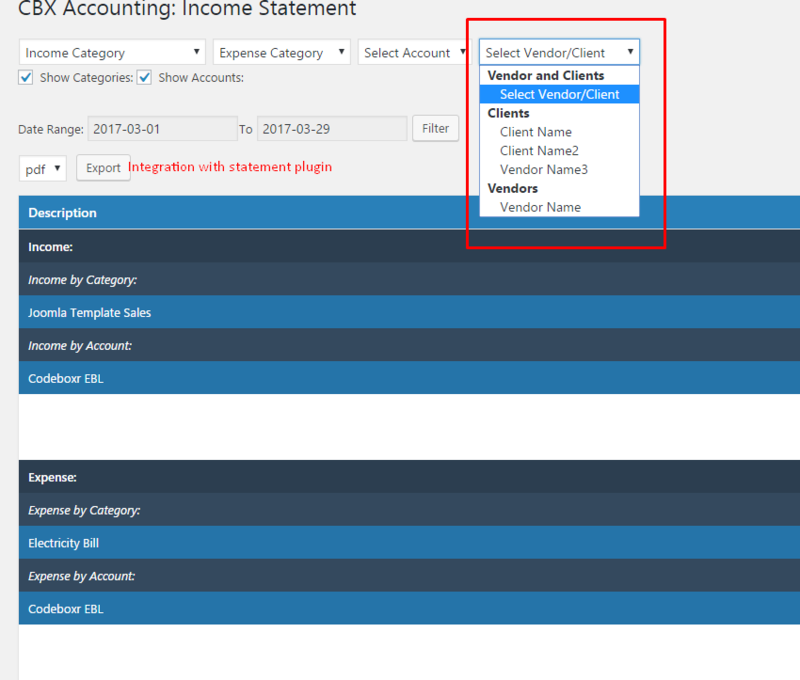 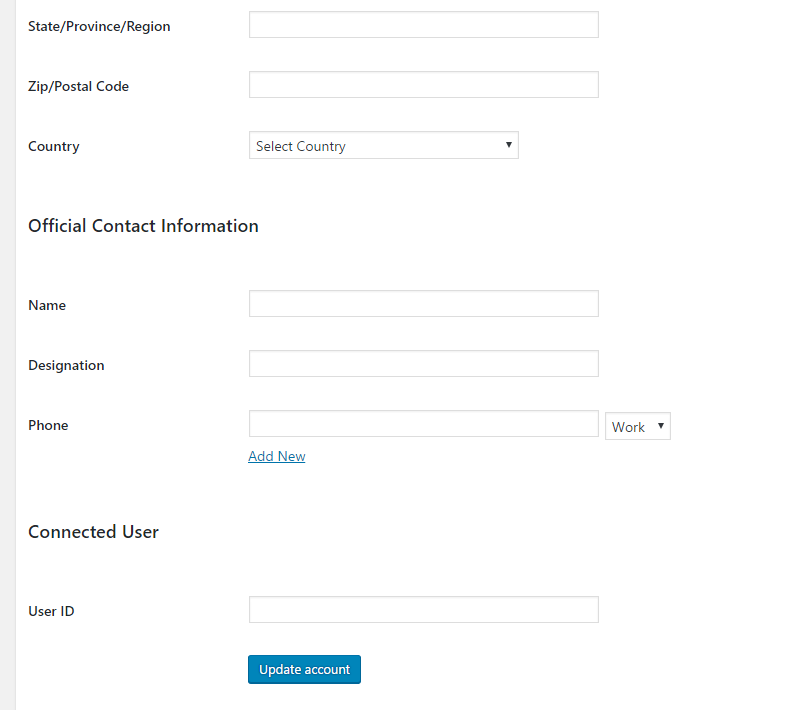 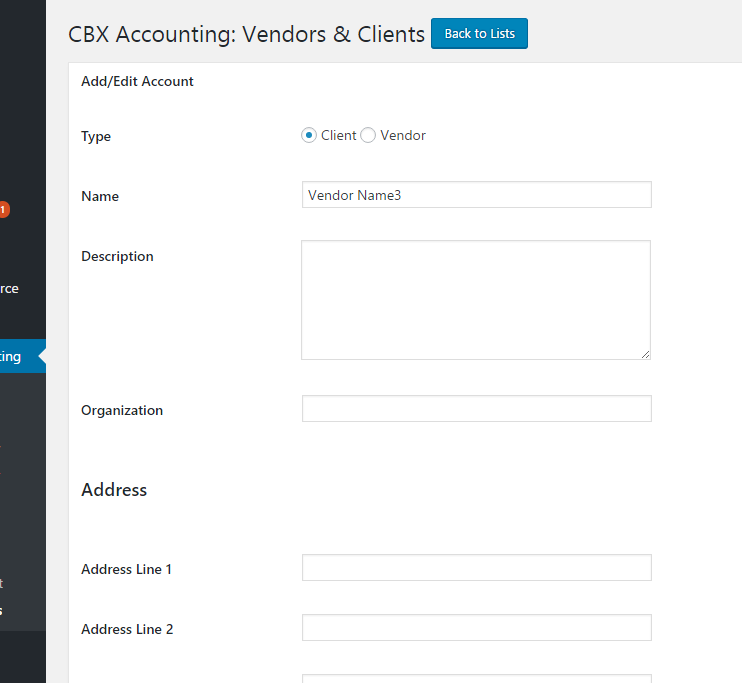 This is an addon plugin for CBX Accounting, a simple but powerful accounting solution for SME inside wordpress. 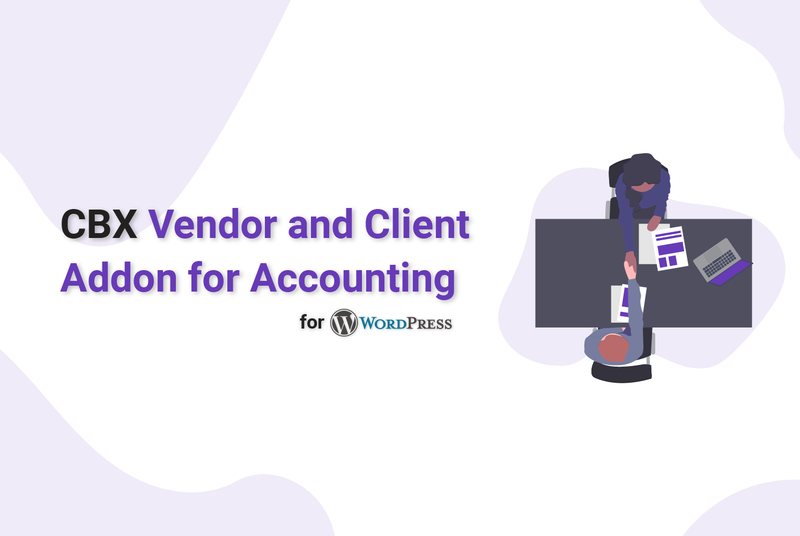 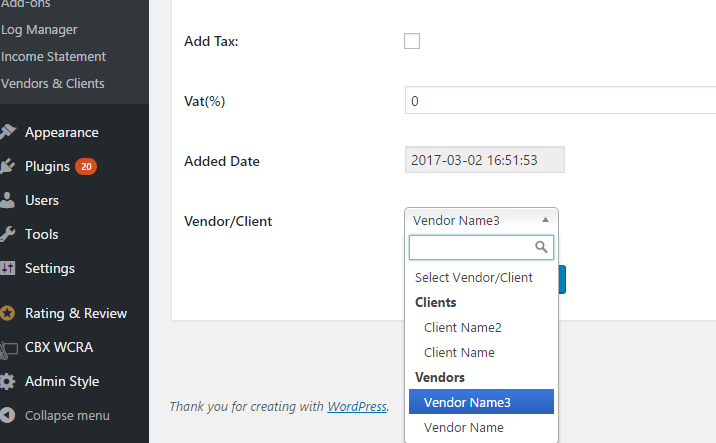 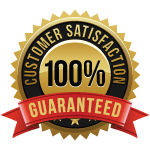 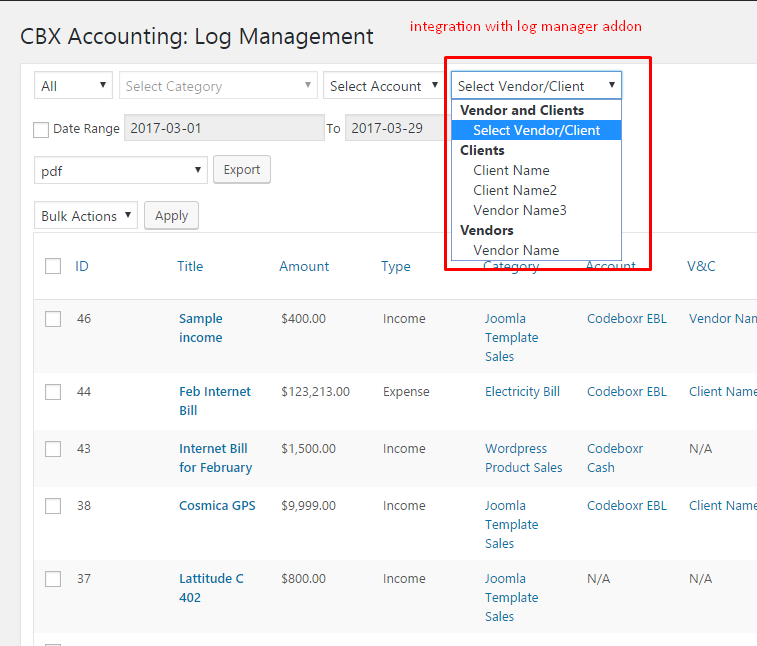 Vendor and Client addon will help to add, edit, delete vendors and clients as well as integrate it will full accounting system. 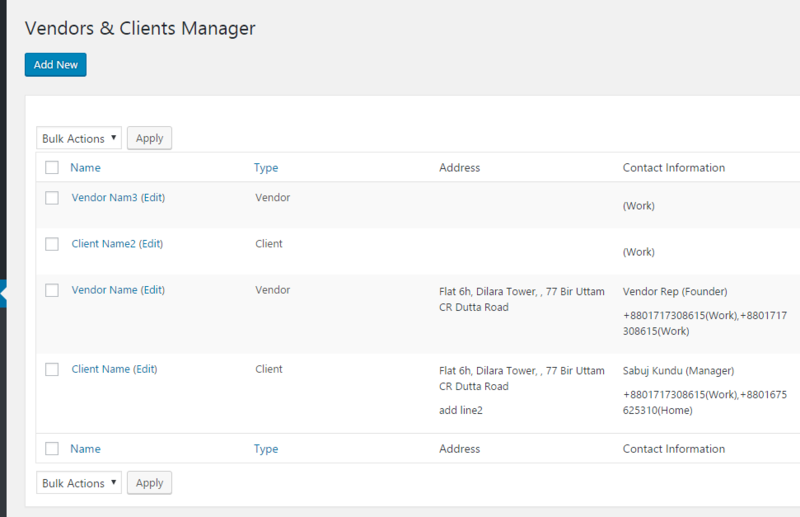 Works with log manager and statement addon. 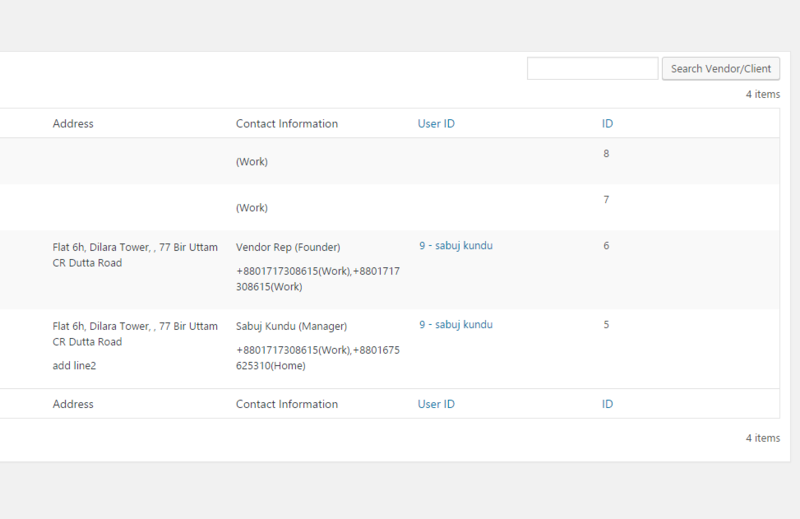 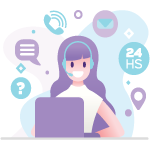 use for any number of websites as you want, but one purchase = one year one domain support.